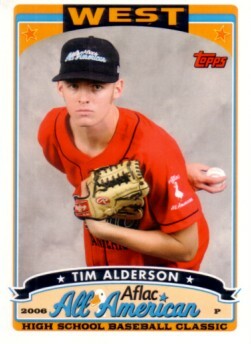 Tim Alderson 2006 Topps AFLAC All American Rookie Card #AFLAC-TA. ONLY 250 of each were distributed exclusively at the 2006 AFLAC All American Game in San Diego. ONLY ONE LEFT.